Looking for multipurpose bowl set? Nilkamal’s new range of bowls will amaze you. We have designed different patterned veg bowl set which will fit all your needs. Nilkamal’s Sovrana Empress Veg Bowl Set is one of them. The set consists of 6 bowls in it. The bowls are made of prime quality opal. The Opalware products are reliable and have high mechanical resistance. 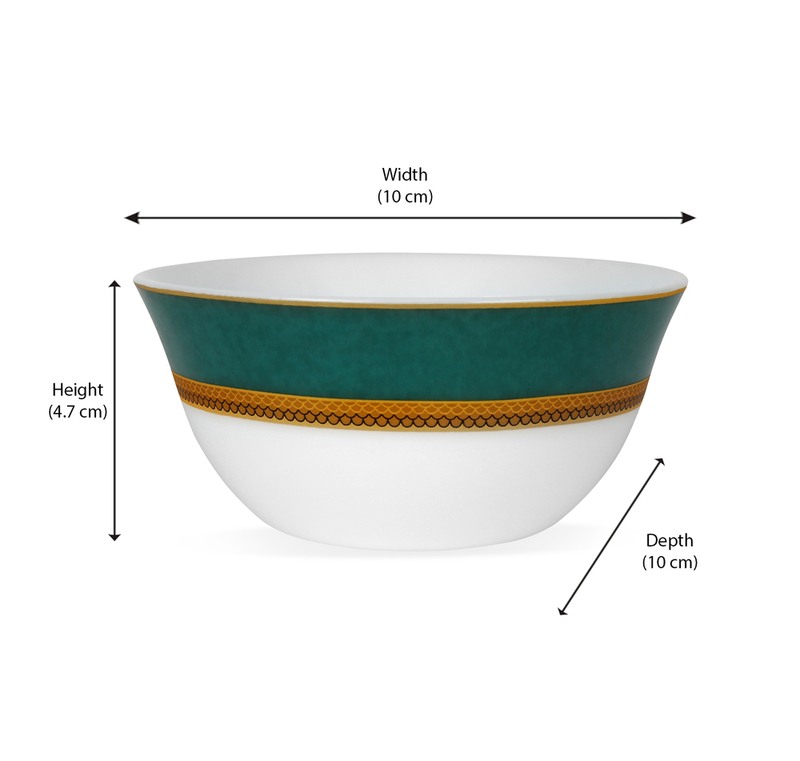 You can serve snacks and foods in these bowls. It is ideal for both regular use and function use. The bowl is super light. The green colour gives an elegant look to it. It has excellent finish to look more elegant. It is toughened to become extra strong. You can heat food with this bowl in microwave oven. So it is microwave safe. The bowls are also dishwasher safe and scratch resistant. The bowls are highly durable and long lasting. If you want to check out our other products, please scroll down to see them.